This Oven-Baked Blueberry Pancake made from scratch is full of fresh blueberries and has a dusting of sweet powdered sugar. My little ones are pancake lovers. What kid isn't, right? How can anyone resist the warm melted butter, sweet sticky maple syrup and fluffy cakes? I'm not even a sweet fan and I love a nice big stack of pancakes. What I don't like, however, is missing out on eating pancake breakfasts with the fam because I'm stuck at the stove doing the flipping. If I wait to sit down until they''re all done, some get cold or the natives get too restless waiting. So, it's I miss breakfast, or keep the kiddos happy and serve theirs first. This big ol' pancake solves the problem of staggered breakfasts. 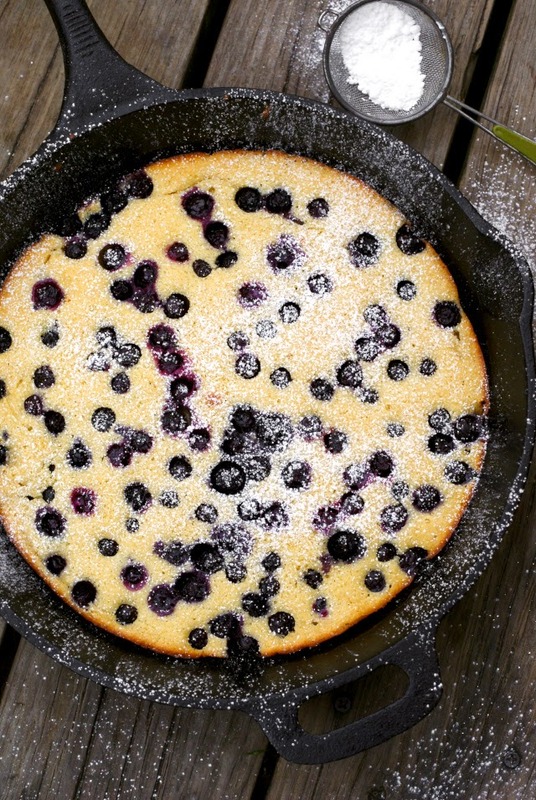 Say hello to the oven-baked pancake! Sure, they're not little discs, which are always fun, but you can cut this guy up into pizza shaped slices, which the kids love. That, and the fact that everyone's pancake gets done at the same time, makes this recipe a winner in my book. The addition of blueberries is perfect for this not too sweet cake and makes for a pretty presentation. The powdered sugar is the icing on the cake, so to speak. We still served these pancake slices with a pat of butter and a drizzle of maple syrup. The kids were SO excited about this easy breakfast. You will be, too! Mix it up, throw it in the oven, and bam! Done! Pancakes for everyone at the same time, even Mom. Remove skillet from oven and add remaining 1 tablespoon butter, swirling to coat. Pour in batter and smooth top. 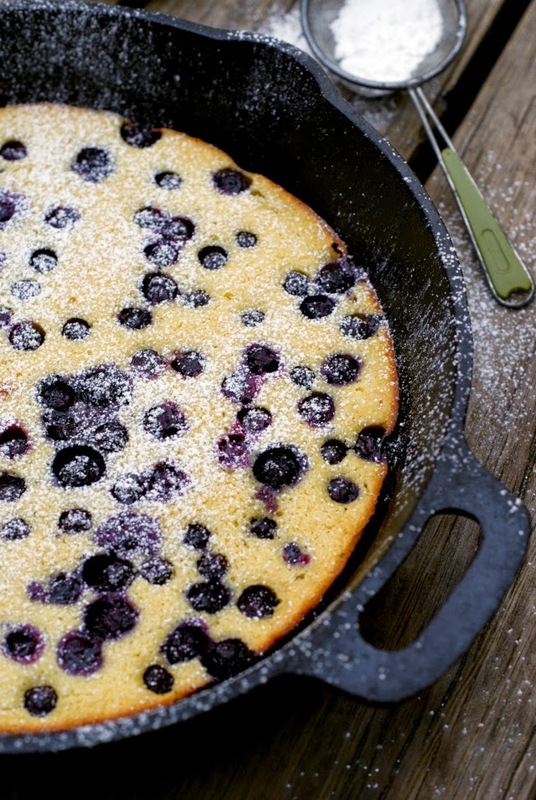 Sprinkle evenly with blueberries and remaining 1 teaspoon granulated sugar. 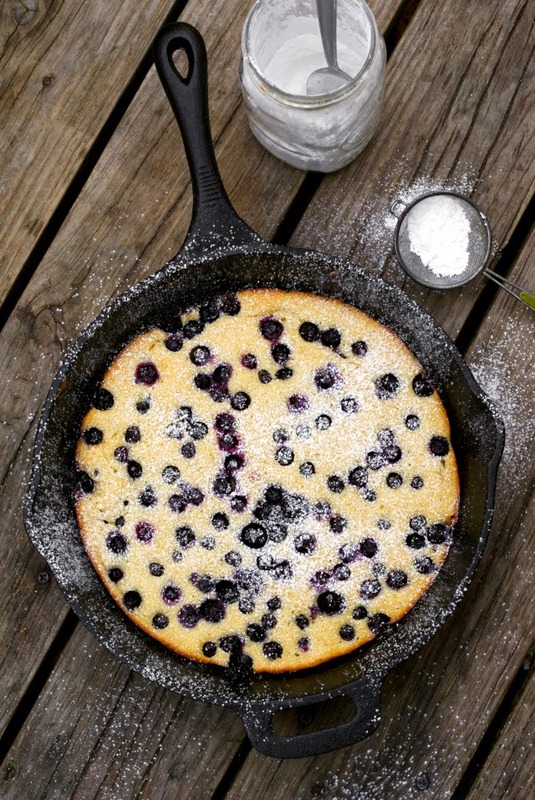 This blueberry oven pancake looks SO good.. and so easy to make too. I have to make this for breakfast tomorrow!